Gardening in organic soil & utilizing holistic techniques to yield larger-than-life produce, Haylene Green wants to equip families and growers with knowledge concerning food security and safety, and sustaining the environment for years to come. At the West End Community Garden, we strive to be of service to our local community by providing cooking classes, eat & learn events in the garden, and consultations. This happens in large part because of amazing volunteers in the community. 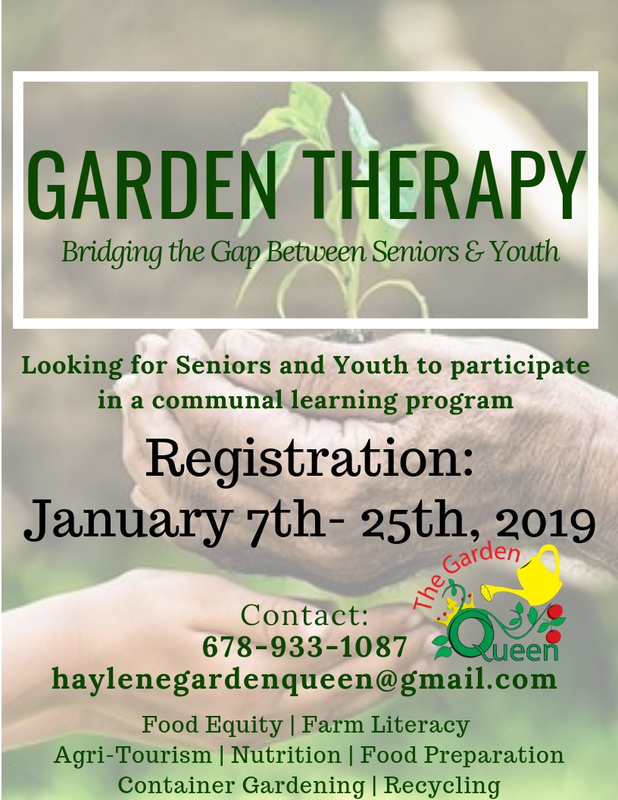 Garden Therapy is a new program bridging the gap between seniors and youth. This connection is crucial to incite sustainable positive social change in our community. 25 youths and 25 seniors will participate in interactive classes concerning food equity, farm literacy, agri-tourism, nutrition, food preparation, container gardening and recycling.